When Lewis & Clark and the Corps of Discovery set out to map a route to the Pacific Ocean in 1803, they did so with courage, smarts and above all else an undying thirst for adventure. When history buff and river aficionado Wayne Fairchild set out to make a profession out of his passion in 1989, he was lit by the same fires as the namesakes of his burgeoning company. And since that day, Lewis & Clark Trail Adventures has been unrivaled in connecting modern travelers to the spirit of adventure embodied by Lewis & Clark. Lewis & Clark Trail Adventures is based out of Missoula, Montana—just a stone’s throw from the famed Traveler’s Rest site, where the Lewis & Clark expedition famously took the time to gather strength before surmounting the magnificent Bitterroot Mountains on their first crossing, and before splitting up map different routes on their return trip. From this central location, LCTA explores the heart of terrain that continues to capture the imagination of adventurers worldwide. Whether its following the meandering wake of Lewis & Clark on a canoe trip along the Wild & Scenic upper Missouri River, or a history-soaked hike on the legendary Lolo Trail, LCTA is the only outfitter dedicated to putting you in the footsteps of the legendary explorers. Of course, modern modes of river travel allow for a far more thorough exploration of wild water than was possible at the turn of the 19th century. LCTA offers spirited trips through water Lewis & Clark could only dream of running: the gorgeous Alberton Gorge on the Clark Fork River; the remote, free-spirited Salmon River; the untamed and unruly Lochsa River (meaning “rough water” in native Nez Perce, the Lochsa’s Class 4 and 5 rapids forced the Corps of Discovery overland to the Lolo Trail). As thrilling as the physical adventures with LCTA can be, though, they are always balanced by a high sense of style and comfort. River and trailside meals are sumptuous and diverse, and camp accommodations are the definition of outdoor luxury. LCTA’s high percentage of repeat clients is a direct testament to the unparalleled quality of their adventures. Wayne and Gia have cultivated a family of professionals dedicated to making your once-in-a-lifetime adventure come true, no matter how many times (or places) you chose to do so. The spirit of adventure is alive and well in Montana and Idaho—come see for yourself the land and water that are waiting when a band of brave souls first opened the door to the American West. Already a guide but interested in getting acquainted with our company? Want first time guide training? Our Learn To Raft class AKA Fundamentals of Whitewater rafting AKA Guide Refresher is a great way to get to know us as a company and vice versa. 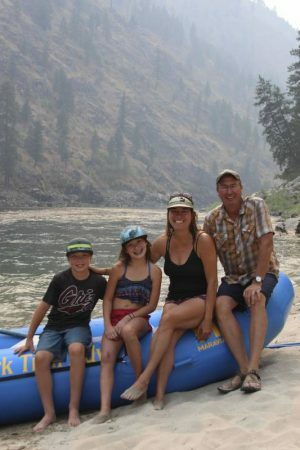 Also an opportunity to paddle the Salmon River of No Return before the summer season starts, regardless of your guiding or rafting experience. You will be asked to fill out a detailed participant form after booking your space. Our hiring needs vary from year to year. We accept applications from experienced guides AND those looking for their first guiding job. We cater to our diverse guest clientele, many families with kids, professional and social groups, historical & cultural travelers and some whitewater thrill seekers. We are looking for socially engaging, attentive to detail, creative problem solvers, thrive in a fast paced work environment and balanced team players. We want your experience at LCTA to be more than just a line on your resume, but an impactful life experience, building relationships that span far into your future. LCTA guides get a diverse guiding experience, between the day trips on the Alberton Gorge, Lochsa, Salmon and even the canoe trips on the Missouri. Our guides tend to gravitate towards working primarily in a particular area, but we are a diverse TEAM of guides and we expect our staff to expand their work experience by working in a variety of our trip locations. All of logistics are primarily based out of our small headquarters in Missoula, but departures are closer to the trip areas. Keeping an open mind and the taking advantage of opportunities professionally and personally from your time guiding can take your life down unexpected and amazing paths! Our office is located on the edge of downtown Missoula. Many guides end up living here year around, go to school in Montana or out of state and also work other outdoor industry jobs during the winter. We think it says a lot that many of our guides have been with us for years. Those that stay in Missoula, enjoy living and working jobs/careers that allow them to return and guide trips as often as they choose. 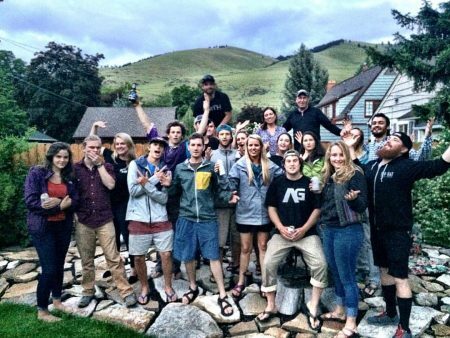 Missoula has so much to offer – of course the outdoor adventure, kayaking, fishing, hiking & biking, but also – culture and diversity from the University of Montana, live MUSIC, great food and nightlife.